New packaging. All-family product line-up. And a positioning solidly based on the delivery of snacking entertainment. How do you bring these together while generating awareness for your brand – and its new look? 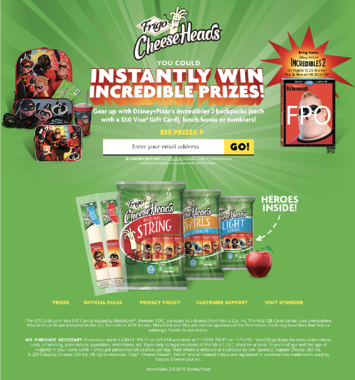 Consumers were directed to www.CheeseHeadsInstantWin.com daily for a chance to instantly win prizes from May – November. Program prizes during the summer months included movie tickets (for the whole family), a family entertainment system, and more. Brand lovers who did not instantly win were offered the opportunity to engage further on the brand’s Cheeseheads Unite platform for additional brand experiences and prizing. Family is everything. And we formulated a social media campaign that never lost sight of this goal of uniting family behind a please-all product. In fact, a creative and robust social media campaign on Facebook & Instagram included ads targeted to parents who are interested in Disney, Family & Parenting, Incredibles & Disney Movies/Characters. More than 2 million impressions were generated. But the impressions weren’t isolated to the online experience. Shoppers heard the news throughout the entire path to purchase, including an on-pack sticker, shelf-talk, print ad, email campaign, and more. 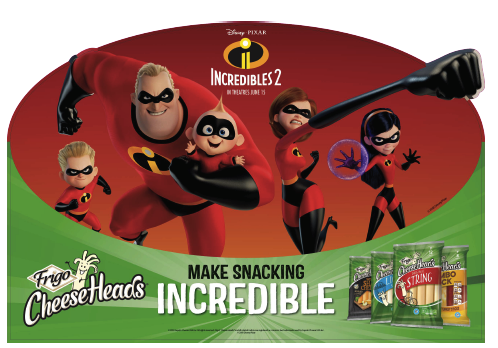 Hangar12’s Frigo® Cheese Heads® Incredibles 2 program generated Overall Media Impressions (includes digital, print & POS) totaling an astounding 467,982,948! 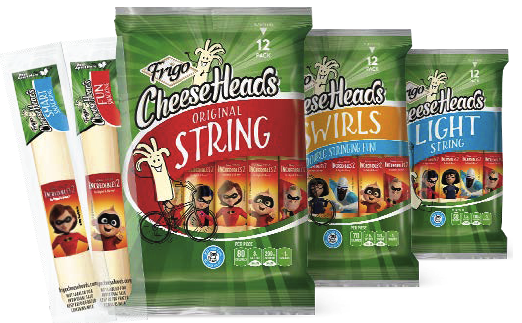 The program went to heroic lengths with consumers in solidifying the brand’s positioning as the all-family, entertaining snack cheese.